Not sure if this has already been answered but it's causing so much confusion for me and my clients. It's regarding nameservers on signup. 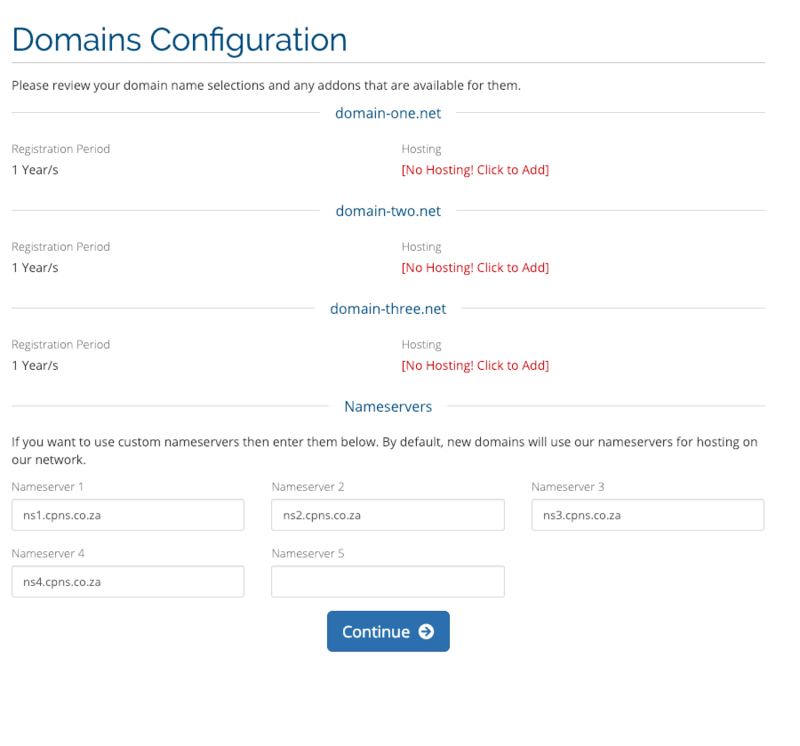 Now I want to configure the nameservers for each of the above mentioned domains. However, looking at the screenshot above it seems like when I update the nameservers it will apply to all the domains. This doesn't seem very user friendly to me. Ideally it would be great if there were three nameserver forms for all three domains, making it possible to update the nameservers for each individual domain. Is there a way to make this possible, to have a nameserver form for each domain? Alternatively to avoid confusion I presume one can simply just remove the nameserver form on sign up and inform the client that they can update their nameservers on registered with their client area? I thank you all in advance for your feedback!